Semi-desert. Openings, woodlands, shrublands. Spring and summer. Canyons of the Ancients National Monument, May 25, 2010. Erigeron aphanactis has no ray flower petals and thus is unusual for an Erigeron. In the Four Corners region there are just two such Erigerons (E. compositus is the other) and there are perhaps another dozen in North America. 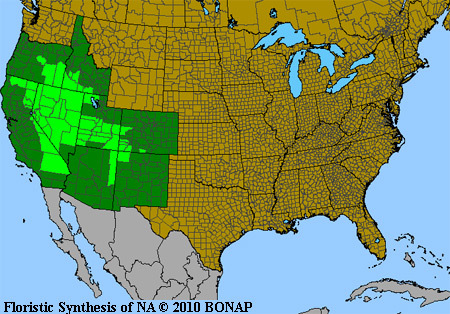 Although 1a. & 1b. do not mention petal-less Erigerons, somehow 3a. states ""Ray flowers absent...." and you can then proceed to 4a. Erigeron aphanactis -- but there is never an indication that E. compositus can be petal-less. 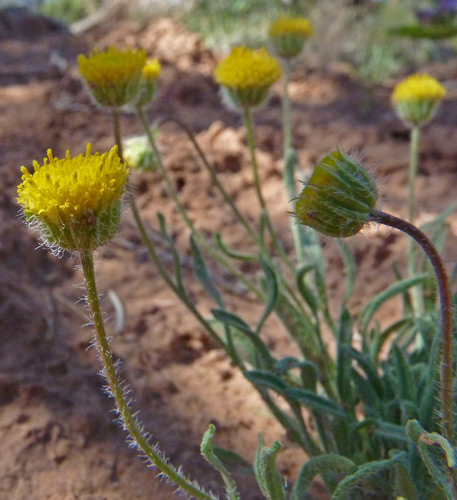 Flora of the Four Corners Region indicates that Erigeron compositus can "often" not have ray petals, and Weber agrees, indicating in a descriptive note that this form of E. compositus is "common", but unfortunately his key does not include rayless Erigerons!. 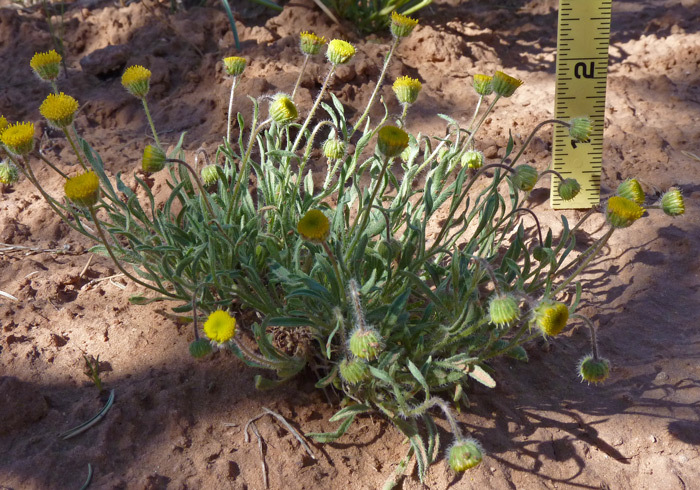 Flora of the Four Corners Region gives us a clear picture of the Erigeron species lacking ray petals. The treatment was nicely done by Asteraceae expert Guy Nesom. Entry 2 includes both Erigeron aphanactis and Erigeron compositus. Notice that Nesom teaches us something about our terminology: These Erigerons are not really "rayless". They are " petal-less". They do have ray flowers (often referred to as "ray florets" in technical floras), but the florets either lack a lamina (a petal) or the lamina is so minute that it does not even show above the tip of the phyllaries (the tip of the involucre). Also note that the ray florets are infertile; they contain just pistils. This species was first named Erigeron concinnus variety aphanactis by Asa Gray in 1865 from a specimen collected in Nevada by C. L. Anderson. 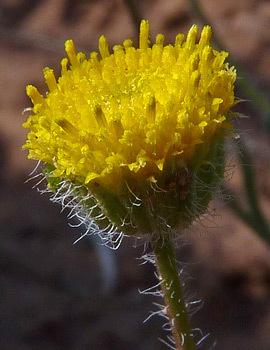 Edward Greene renamed the species Erigeron aphanactis in 1897.